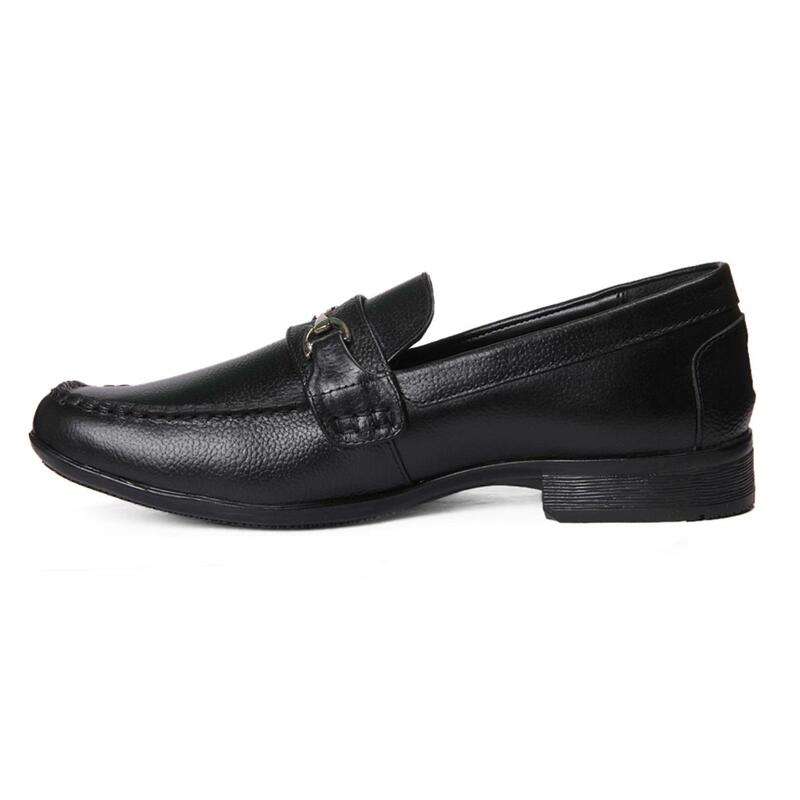 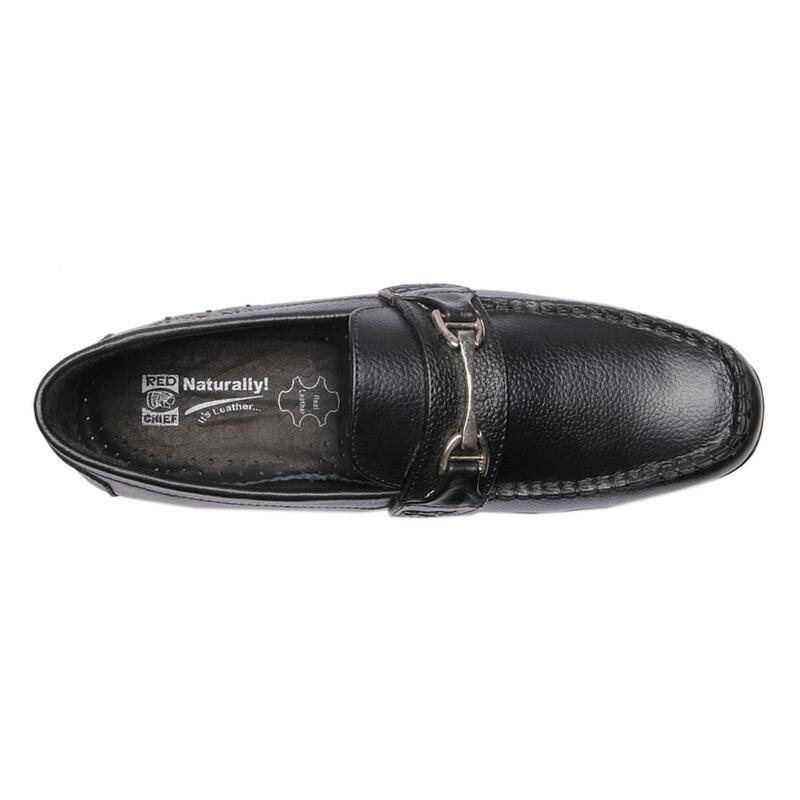 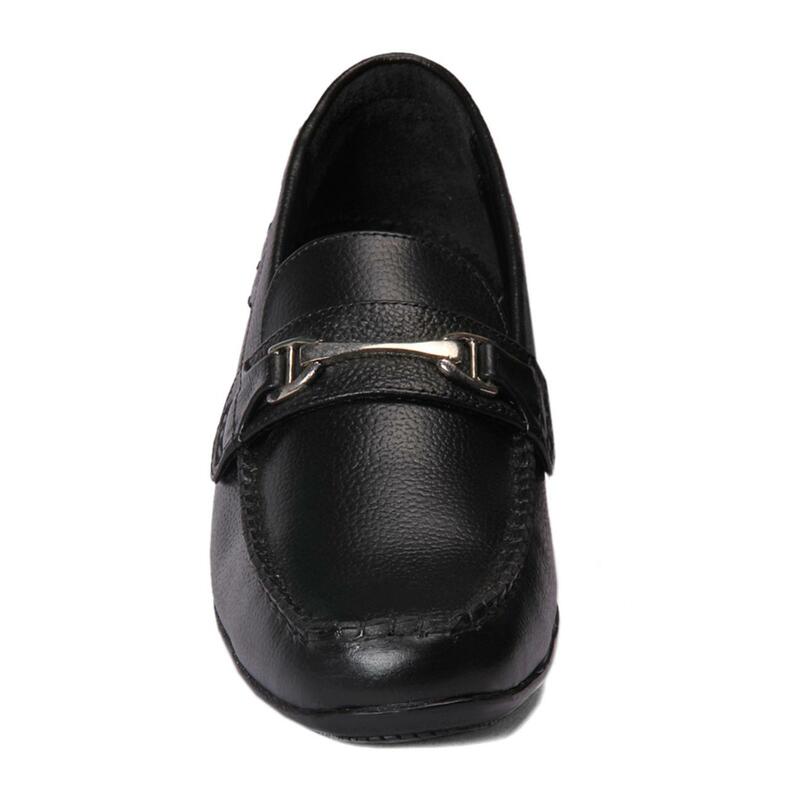 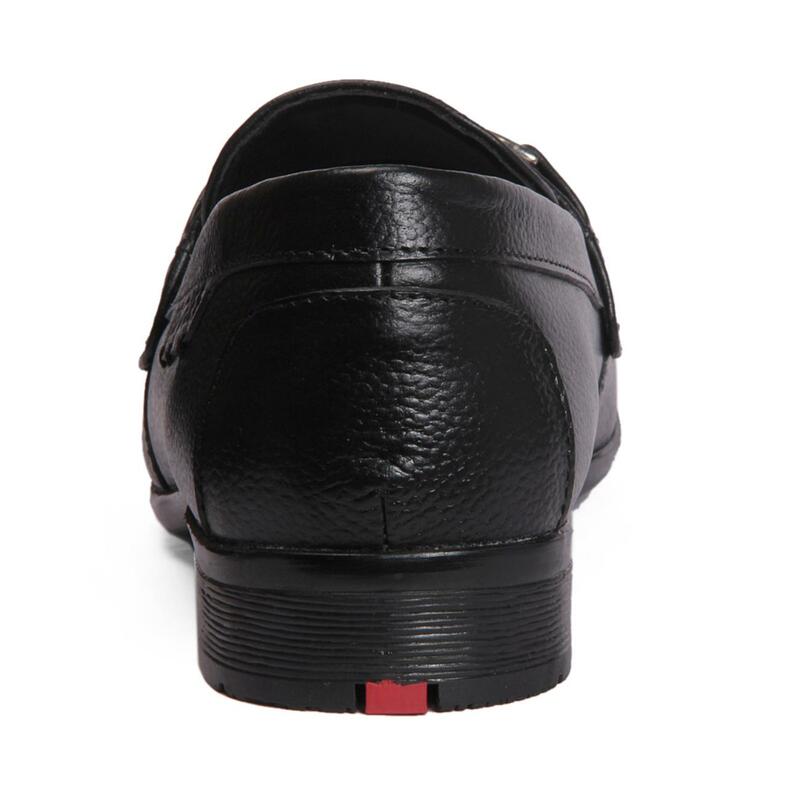 A classy formal wear for men who love to be in trend, this pair of black shoes from Red Chief is admired for its glossy texture and attractive metallic detailing on the front. 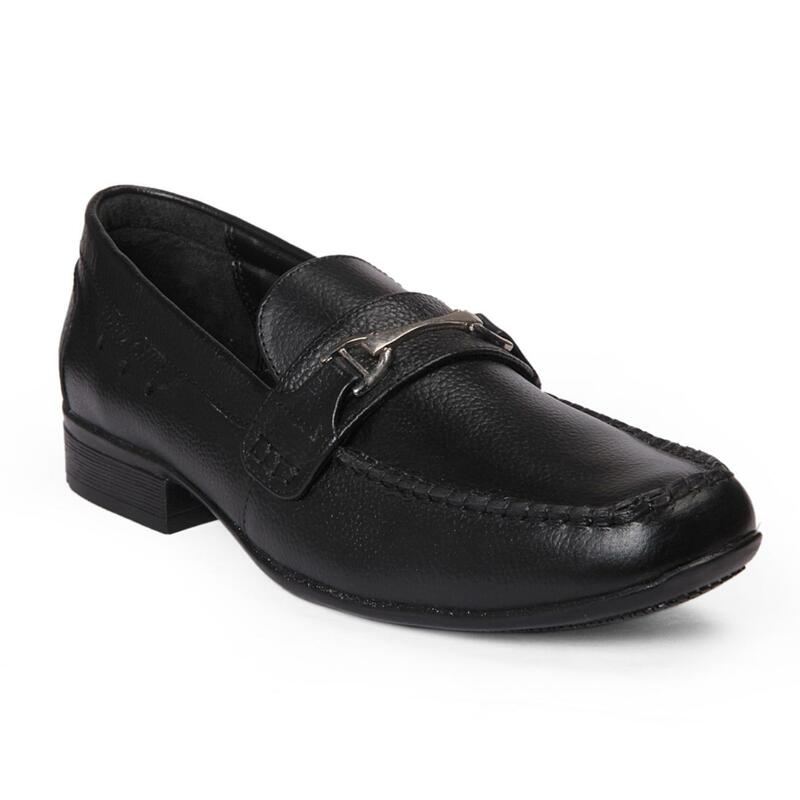 With its leather lining and PU (polyurethane) sole assuring excellent wearing comfort, this pair of slip-on shoes also has cinched forefront that perk up its edgy look. 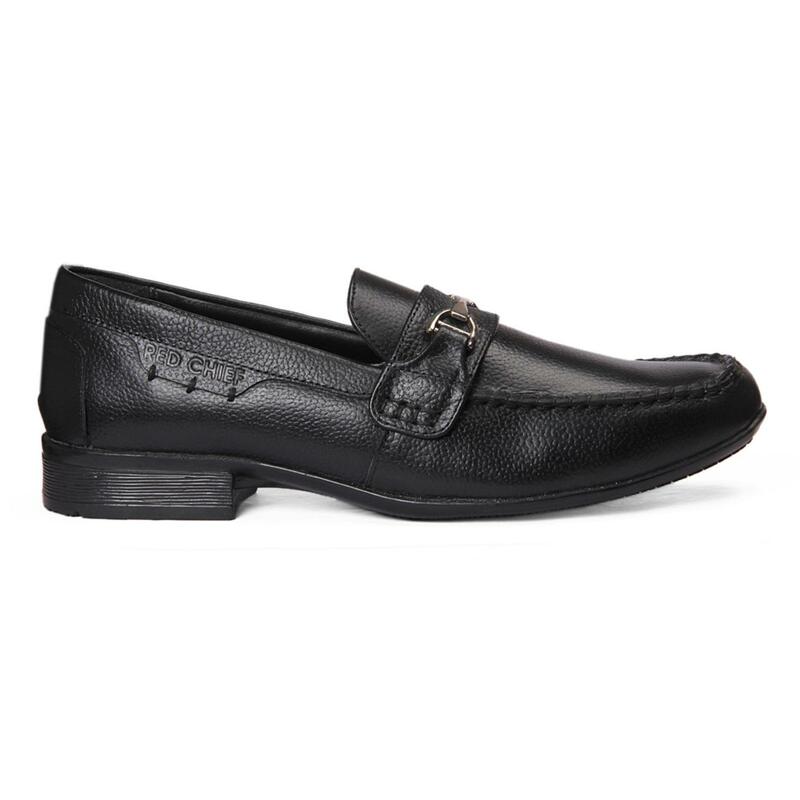 It will go well with a textured shirt and a pair of black trousers.